The Ivory is a newly established hotel. We are located within close proximity of Suvarnabhumi international airport, barely 10 minutes drive. If central Bangkok is your destination then barely half an hour drive will suffice. We are most ideal for your relaxed night time, away from the traffic and congestion of central Bangkok, plus you will never miss that next important flight at Suvarnabhumi airport! We pride ourselves in providing first class services and accommodation with remarkable value. Our rooms are fully furnished with first class furniture made by a leading Thai furniture company with modern and elegant touch. All rooms are equipped with flat screen TV, free WIFI internet connectivity, mini bar and wide selection of room service menu. Our Ivory cafe located on the ground floor serves a wide variety of delicious dishes from traditional Thai cuisine to more formal Western style dishes. You can rest assure that all of your cuisine desire will be catered for. The Ivory caters for both daily and long stay. While we are moderate in size, our location is our key advantage. Being near Suvarnabhumi airport as well as many local tourist and leisure locations, travelling convenience is inevitable. A newly opened shopping and restaurant arcade is no more than 10 minutes walk from our hotel. There, you will find 24 hour supermarket as well as a great variety of trendy restaurants and caf?. In terms of safety, The Ivory provides 24 hour security with trained guard officials. 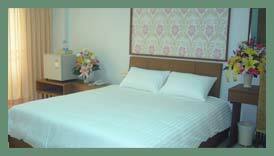 We are equipped with close circuit cameras which are located within each floor as well as around the premises. Parking spaces are in abundance and we can always reserve hired chauffeur or self drive vehicle for you upon request. If sports and recreational activities are your things then The Ivory is also most ideal. Within 30 minutes or less drive time, you will find no less than five international standard golf courses. A large public park "Suanluang Rama9" is only 20 minutes drive away where you can enjoy short or long walks as well as feeding local fishes. More traditionalists might wish to visit cultural Thai temples with great local feel and tone then Wat Larnboon is barely 15 minutes walk away. There, you can see many beautiful temple decoration and scenic heritage. One of the most well known temple in Bangkok province and Suvarnabhumi area. 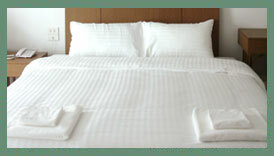 While relatively new (we opened in July 2008), our management team is no newbie to accommodation and hotel industry. Our bigger sister resort is located in the upper northern part of Thailand - Chiengrai. In case you need an even more relaxing and more rejuvenating break then please look us up via www.mohn-myre-horm.com Naturally a more favourable rate will be offered if you wish to reserve your accommodation at Mohnmyrehorm resort through us. A more comprehensive itenary can be arranged upon request.